The Good: time in at under 2:00 mins, 1:57 flat, solid form throughout. The Bad: I want a solid 41S/M for the whole 500m, not there yet, but getting at it. 2. 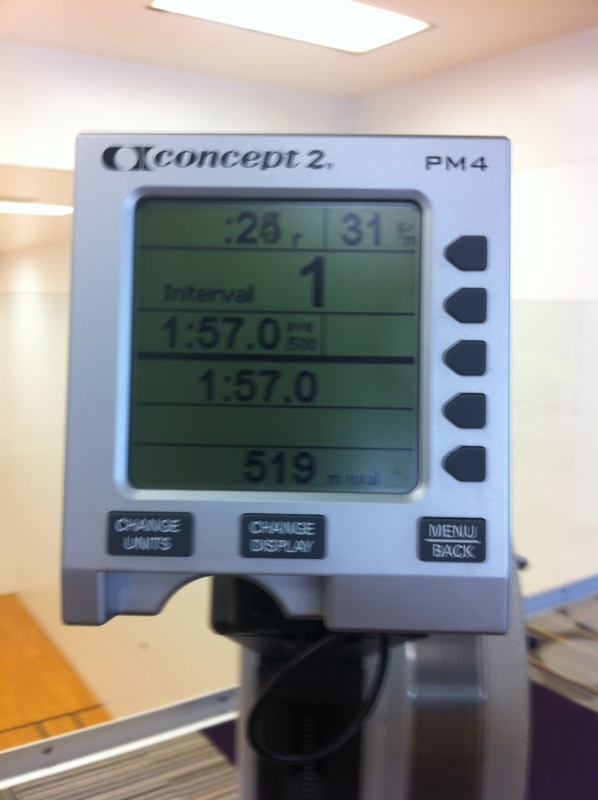 Row 500m @ 8 drag, 1:57, followed by 2000m row. 3. used a few tape measurements to estimate my body fat, right now it is around 19-20% losing my planned 20+ pounds should land me at around 10% body fat, which is about where I want it to be. Brought the oldest out with me this AM and had him work some body weight activities and then run the cardio with me, He did great, but like me longs for the pool to be back up. This entry was posted on May 23, 2012 by tacticalpreacher. It was filed under Uncategorized .